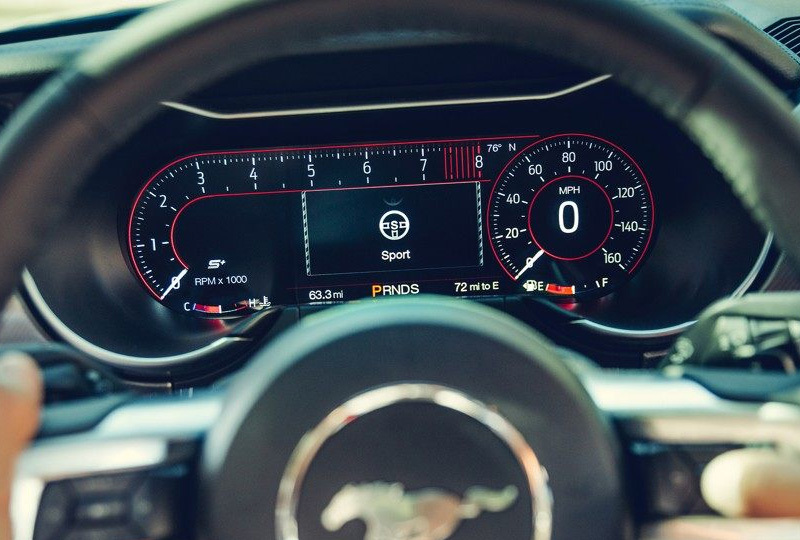 The 2019 Ford Mustang from Al Packer Ford Royal Palm Beach in Florida, serving Lake Worth, Wellington, Palm Beach Gardens and West Palm Beach, excels in both style and performance. You can't ignore the bold presence of the 2019 Mustang. A sharp-looking silhouette captures attention with LED lighting and chiseled perfection. With the option of a convertible soft-top roof, you can also get true open-air freedom for every joyride. Crank your 2.3L EcoBoost engine and feel the 310 horsepower coming to life. Cut corners and follow winding roadways with ease, thanks to the independent rear suspension designed to optimize control. Lean back into your cozy cloth-trimmed bucket seats and switch songs on the available SYNC 3® infotainment system. Pick the ideal parking spot and back into it with fearless precision using your standard rear vision camera. 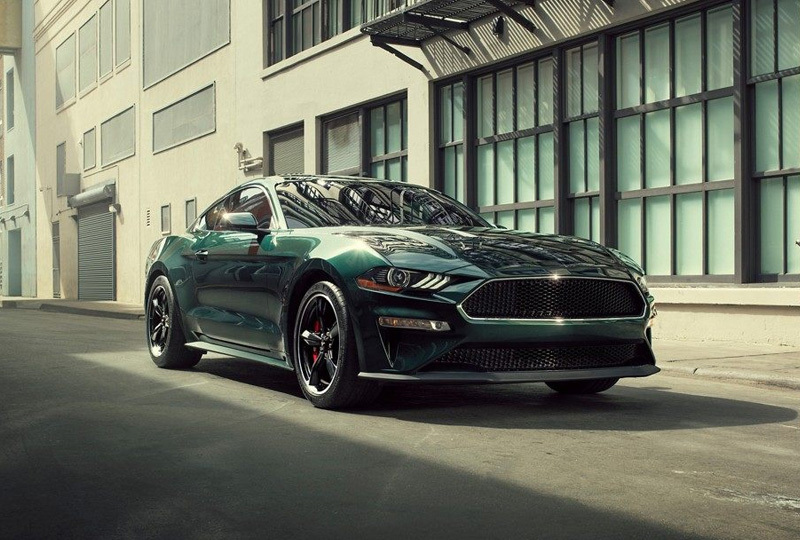 Everyone will know when you've arrived because the 2019 Ford Mustang never makes a boring entrance. 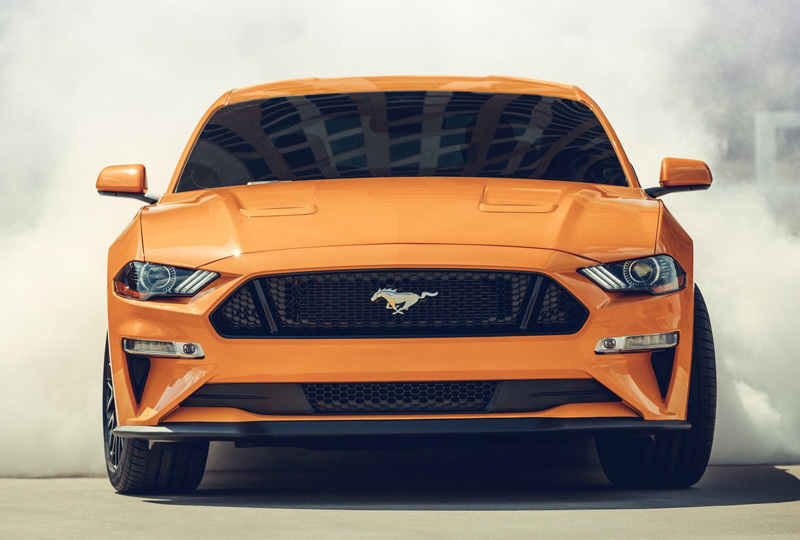 Right now is the best time to buy a 2019 Ford Mustang! You won't find a better new Ford inventory, so browse online, and then visit us at 10601 Southern Boulevard to take a test drive. We'll send you home in the 2019 Ford Mustang you've been dreaming of. Three engines. Two transmissions. Five performance settings ‐ from Normal to Track and Drag Strip modes. There's a lot to choose from. And that's not even including the exhaust note, or Quiet Start mode to keep your neighbors happy in the morning, or the Track setting to let everyone know you've arrived. Three power-assist settings provide the type of steering control you want when you want it.Comfort: The least amount of steering effort. Perfect for everyday driving. Normal: A balance between Comfort and Sport when you want to engage more, but still need some level of steering ease. Sport: Requires increased steering effort, delivering a more immediate connection to the road. 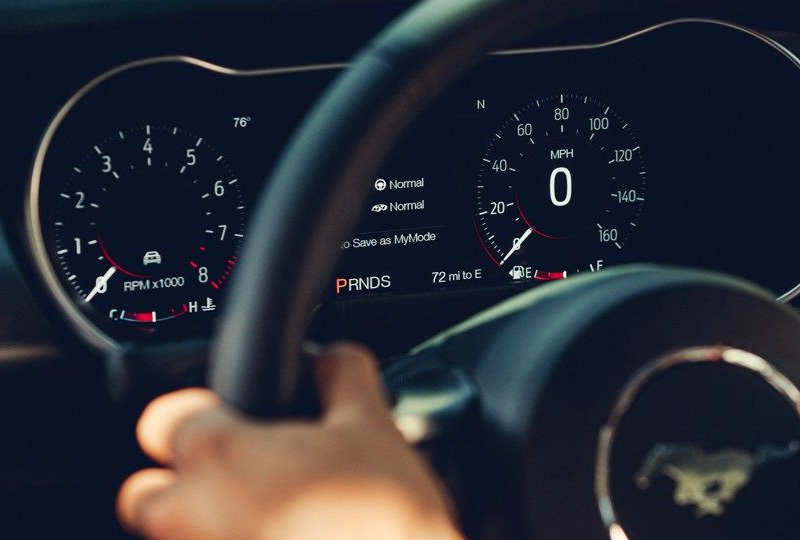 Standard on all models, performance metrics are instantly provided in the instrument cluster. Accelerometer displays lateral and longitudinal g-forces, acceleration times and lap times, plus automatic and countdown starts. Also included are features like electronic line-lock* and launch control** (manual only). Electronic line-lock keeps the front brakes locked while Mustang is in gear to warm up the rear tires. Launch control integrates brakes, traction control and powertrain control to help ensure smooth consistent starts. 1. MSRP for base vehicle shown excluding destination/delivery fee plus government fees and taxes, any finance charges, any dealer processing charge, any electronic filing charge, and any emission testing charge. Optional equipment not included. Starting A, Z and X Plan price is for qualified, eligible customers and excludes document fee, destination/delivery charge, taxes, title and registration. Not all vehicles qualify for A, Z or X Plan. All Mustang Shelby GT350 and Shelby GT350R prices exclude gas guzzler tax.